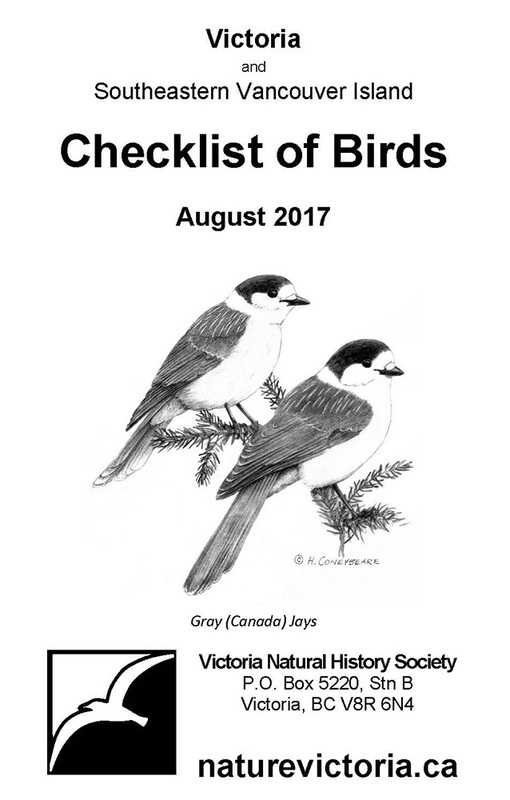 Digital and hardcopy versions of the latest Checklist of Birds: Victoria & Southeastern Vancouver Island are available. Hardcopies are available at our evening presentations and locally at Wild Birds Unlimited, the Swan Lake Nature Centre, the Goldstream Nature House, and the Victorian Bird House. Click here (or the image below) to download a pdf that you can view or print at home.